Brompton’s renowned foldable commuter bike is back for 2018 with all the classic features that have made it such an iconic bike. The clever setup of this sleek urban bike means that you can fold it quickly and easily into a compact package. The convenient design makes it ideal for simply hopping off and lifting up easily onto most public transport, before stashing it neatly out of the way. Perfect for getting you around the city with style. 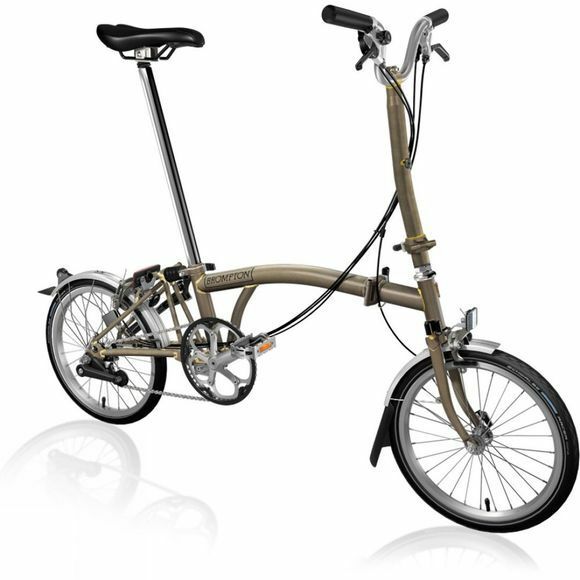 The H-type handlebars on this Brompton are great for riders who are after a more upright ride, and combine with a 6-speed hub gear, which is the ultimate all-rounder, for those who wish to take longer rides and challenging inclines.